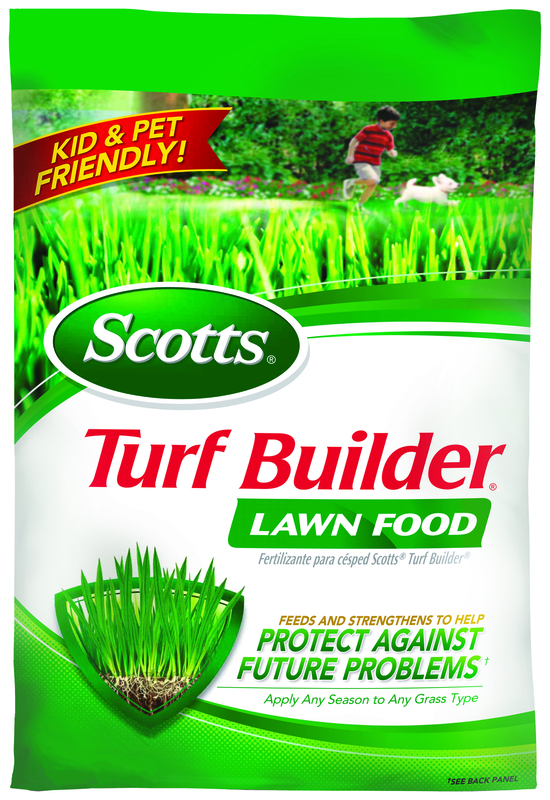 Scotts® Turf Builder™ Lawn Food helps you to build a thick, green lawn. It’s formulated with Scotts’ exclusive All-In-One Particles to provide an even greening and feeding. Using Scotts Turf Builder Lawn Food thickens your grass to crowd out new weeds and strengthens your lawn to help protect it against future problems. Apply to wet or dry lawn. If temperatures are consistently exceeding 90°F, water immediately after application to reduce stress on your lawn. For best results, use a Scotts® spreader. If empty, do not reuse container. Place in trash or offer for recycling if available. If partly filled, call your local solid waste agency for disposal instructions. Never place unused product down any indoor or outdoor drain.